URS Company Information Is this your company? Add your own content to this page. 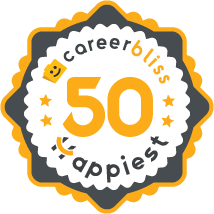 We've calculated that the average salary at URS is $70K based on 1,599 user-submitted salaries A total of 157 URS employees gave URS an average happiness rating of 4.0 out of 5.0. 51 Equipment Services Project Managers from URS submitted salaries. Become human! I do not know how high up the ladder my lay off was initiated; I do know, I was a heck of an asset to the firm for many years and I had knowledge of my job that no one else had and was also the most highly educated in the department. URS is a professional services firm and they must show high degrees of education when bidding on projects/contracts. Apparently, as overhead, that does not count. I also do not know if Martin Koffel, the CEO, was aware of my situation, or if he even cares about underlings. The executive to whom the admin dept. reports, had changed several times over a few years and the VP (the one released) had noted that he was not sure who he was reporting to for a period. I received a congratulatory letter from Martin Koffel (form letter) for 15 years of service noting how the company values longevity - hollow words. I also received a bonus with my director when the corporate offices moved to the TransAmerica building in San Francisco for a 100% successful move. I know the company has become a behemoth with over 56,000 employees, but there must be a greater degree of oversight down the chain. I had no chance to explain anything to anyone. If, indeed, they are to lay off an employee, it should be with a few months prior notice. My previous director with Dames &amp; Moore, in his budgeting, knew he would lay off a few of the team members; he gave them a one-year notice. I believe that the company should look more at the experience level instead of educational level of possible new employees. Many situations will require individuals with professional licenses, but on the other hand, it is the work of those individuals who are experienced and have little college that get the work done in a timely fashion. Too much of the budget and way too much emphasis is wasted on those individuals who lack experience simply because they are not taught in school many of the technical aspects of the real engineering world. It's just my opinion that many companies get too top heavy with licensed engineers and E.I.T. 's and truly need to look at hiring more people with the technical backgrounds. I believe that many companies need to make their Human Resource Department people do more than work with new employees and prepare orientations. HR staff should be concentrating on and doing the leg work in finding positions for their current employees when the need presents itself like in my case. Yes, employees should be looking online in the careers department as well and applying for positions there as I have done many times. I really want to return to the URS system and I hope that is a possibility soon. 4.3 I worked with the company for 19 years. It was a good company and I learned a lot doing different duties in the Document Control Center Contractor on a government facility. I had a security clearance and took pride in my working with records. I published procedures, typing, reviewing, proofreading and getting management/government approvals. Which are used to operate the plant in all areas according to regulations with the State and the government. Producing high quality work in a timely manner. URS is a major public engineering company and is based in San Francisco, CA, serving the world with premium design services. The hiring managers at URS look for professionals who are dedicated to their mission and are looking for career opportunities that could potentially last a lifetime. With challenging and fast-paced projects, the engineering firm serves the markets of: power, infrastructure, federal, industrial and commercial. The company is #1 for designing bridges according to ENR’s Top 500 Design Firms. They rank #2 in highways, transportation, airports, pipelines, general building, and manufacturing. They are #3 in aerospace. According to Fortune, it’s the 267th largest company in the US. Established in 1951, today the company offers employment to over 46,000 people all over the world. URS careers include contingent jobs, internships, new college graduate positions, regular hire as well as temporary. So no matter what your needs are, there’s a spot for professionals who are talented and passionate about URS’s projects. Working at URS is a challenging opportunity. Some of the categories of interest that URS offers includes: aviation, business operations, administrative, IT, construction, engineering, environmental sciences, health, safety, homeland security, logistics, supply, procurement, operations, maintenance, project, and project management. As you can see, the opportunities are endless. So, if the URS culture is fitting, then the opportunities are endless. The URS benefits are extensive as well. Upon the first day, employees reap the benefits of medical, dental, and vision plans, retirement savings, 401(k), life and accident insurance, short and long-term disability coverage, vacation, holidays, sick leave, jury duty leave, employee assistance program that addresses professional and personal issues via 24-hour hotline, flexible spending accounts, opportunities to learn, and additional benefit sand discounts at various sites. Education is actually a major value at URs. They offer tuition reimbursement, on-the-job training and even mentorship programs in order to encourage and foster an environment where their employees can continuously strive to be the best they can be and fulfill their potential. So, if this global, major construction, engineering, and technical services firm sounds like a good fit for you, check out the full job listing, salary information, and company reviews to get a more in-depth perspective on the company. They are the life blood of the major infrastructure that surrounds us, and you can be a part of the successful team if you’re willing to dedicate yourself to the URS mission of providing lifecycle services for a variety of markets.